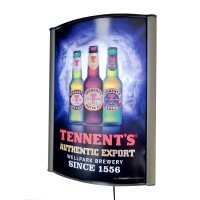 Give your A3 poster displays more visual impact with our curved LED light box. 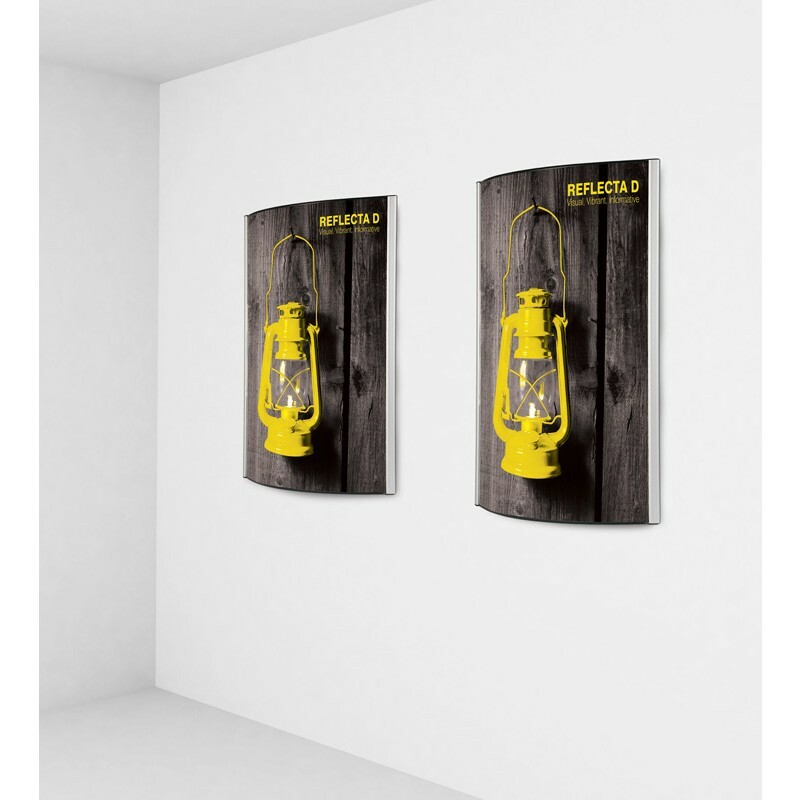 Ideal for use within showrooms, exhibit stands, retail venues and office spaces when you want a contemporary looking display. Economical LED lighting ensure the light box is easy to handle and it can also be wall mounted with the provided fixings. 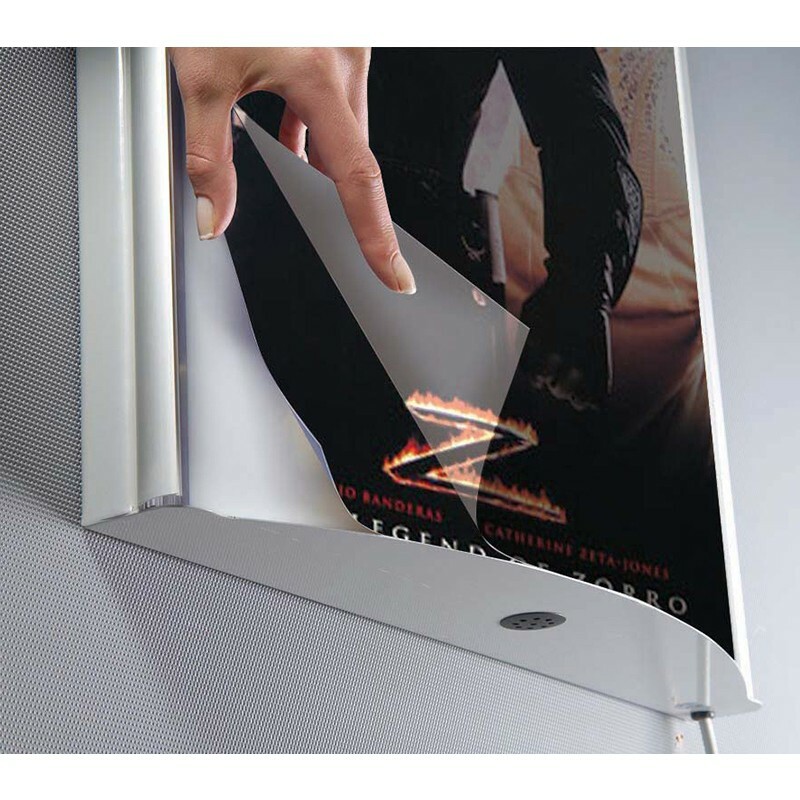 A convenient snap frame mechanism enables a quick poster changeover– perfect for hectic promotional events when you need fuss free equipment that really works for you. 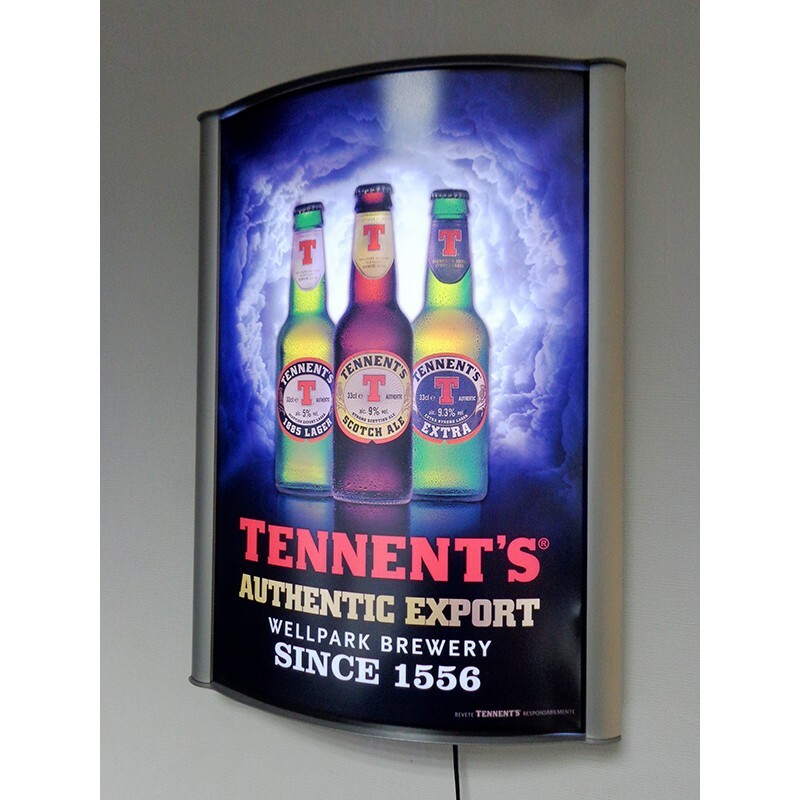 Available to display graphic posters in landscape or portrait orientation, this classy looking LED box really has the wow factor. Its premium aluminium construction compliments any décor, and a protective UPVC graphic cover ensures your graphic poster display will remain in pristine condition. 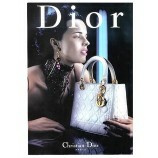 Showcase with more style when you choose this product.